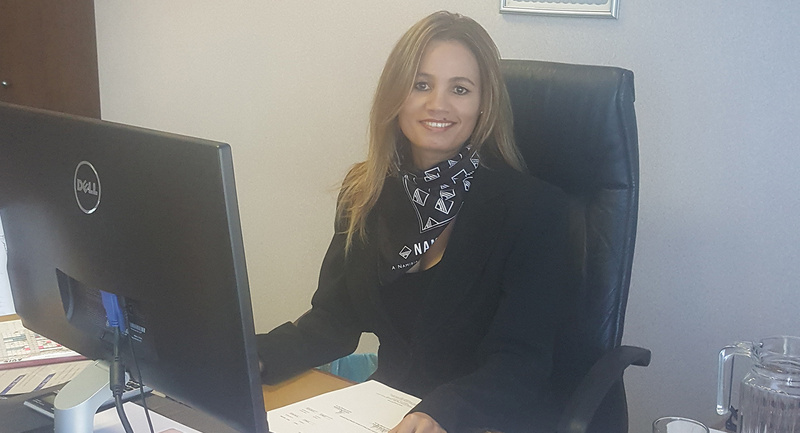 De Beers Management Accountant, Chrishilde Metcalfe, Explains How She Makes a Difference. Management accountant Chrishilde Metcalfe says women should aim high – but it can be lonely at the top. Why did you choose to work for Namdeb? Actually, I was chosen by Namdeb. I was one of 10 bursary recipients and the only woman to get selected out of over 1,000 applications. I have been there 24 years in various Finance departments, starting off as a graduate trainee, and I have had the privilege of working with some really amazing people. I hold a B.Com from the University of Stellenbosch and a B.Com (Hons) from the University of South Africa. I am a professional accountant and have been an associate member of the South African Institute of Chartered Accountants since 1999. In 2009, I obtained the Advanced Diploma in Management Accounting from the Chartered Institute of Management Accountants in the UK. This year, I have applied to pursue a Masters in Commerce at the Graduate School of Business at the University of Cape Town. What have you learnt about yourself and the industry? Life, as we all know, is tough and it is an ever-evolving journey. The mining industry is no different. No matter where we mine, diamonds are rare and very challenging to find in the harsh and extreme environments. But it is also challenging in that, as we are mining, we are leaving a footprint behind, which has a lasting impact on the country, its people and the environment. I find this resonates well with me as it reminds me of being held accountable for my actions and that the challenges I am facing eventually shape me in becoming more resilient and brilliant – just like a diamond. What are the main challenges for a working woman in today’s world, especially in the mining sector? Firstly, for women wanting to pursue a career in mining, you have to know and accept that you are joining a male-dominated industry. The work culture is very demanding across most disciplines. Deadlines simply cannot be missed. You have to plan ahead to keep the work-life balance. Mining is a challenging environment but with lots of opportunities. Sometimes, there is a silent hostility, especially in male-predominant positions like mine managers, but don’t let that make you keep your voice down. My best advice is to know your subject matter well, be prepared, think before you react and never doubt your ability to add value. Secondly, there is a lack of mentorship programmes or capacity building forums for women. How often do you find women coaching or backing other woman? Men go out and drink a beer together or play golf, yet when you are a woman in a leading position, it gets quite lonely at the top and sometimes we avoid setting aside the time to plough back to our younger peers. It is important to learn that everything good in life takes time. Finding job fulfilment, building self-confidence, raising my daughters, being happy...all of these things take time. But if I had a magic wand and could make a career change, it would be to become bold and step out of my comfort zone of sheltered employment and navigate a different route to pursue ultimate financial independence, where my money works for me and I don’t work for my money. What advice would you offer a woman considering a career in mining? If your passion is in diamond mining or mining finds you by chance, I would say go for it. Diamonds are a girl’s best friend. It is fascinating, real and rare. I am proud to work for a company that values not just numbers but its human gems. If you choose the finance department, you will find that the work ethics are very high. People respect each other and pull together when it matters and that makes it a happy workplace. On the downside, you can never have a Christmas or New Year holiday as our financial year-end is 31 December. Our economic landscape is ridden with challenges. But I do think we as women should aim higher than our own ambitions and assist Namibia to rise above the poverty line. This is one of the reasons why I have enrolled for a Masters in Development Finance. Each one of us has a greater responsibility to the welfare of our nation. This prospect of making a difference, a bigger impact, appeals to me and excites me to be part of a better Namibia. I am a devoted mother to two girls, aged 21 and 15, whom I have raised as a single parent. They are my inspiration. I was born in Rehoboth and have three siblings. In my free time, I enjoy cooking, travelling and fitness dancing. A few of the causes I care about are poverty alleviation and serving charities that help children.